We continue following Becky Sigman as she takes us on a three-part tour of St. Louis. This itinerary includes a stroll through a neighborhood that was added to the National Register of Historic Places in 1972. Becky leads us next to Lafayette Square Historic District. The name reflects the significant influence of the French upon St. Louis. 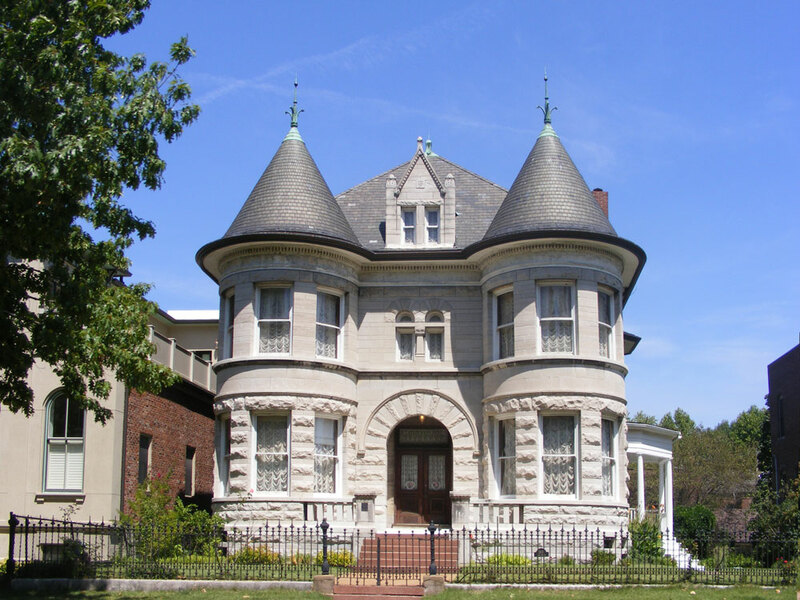 Today the area is known for its Second Empire Victorian era homes. 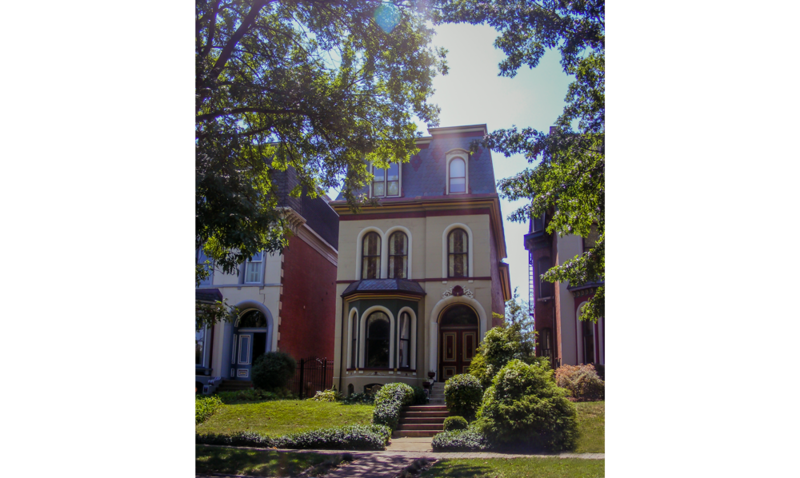 Each of the Lafayette Square houses Becky shares with us have marvelous Second Empire Victorian dormers, rooflines, and details which provide wonderful shadow lines, like those seen above. Becky stops to admire these Victorian Row Houses that flank one side of the square. They are constructed of native brick, with stone or plaster façades. 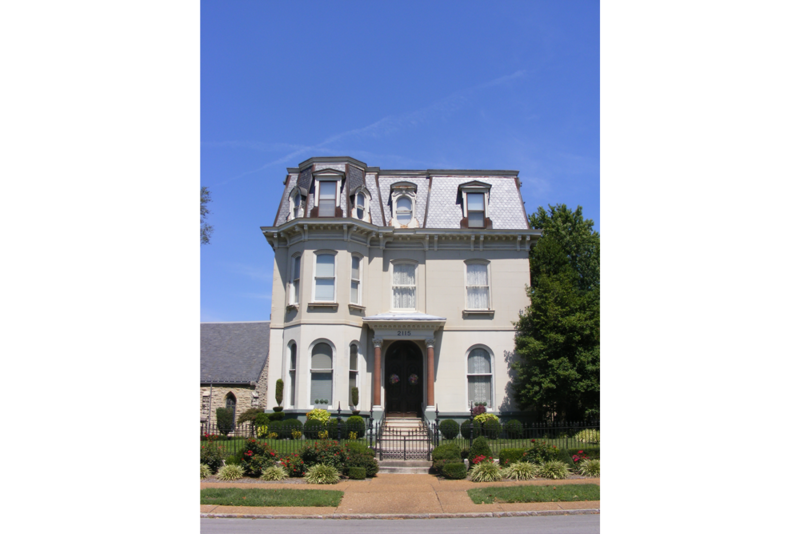 This three story home is topped with a mansard roof. 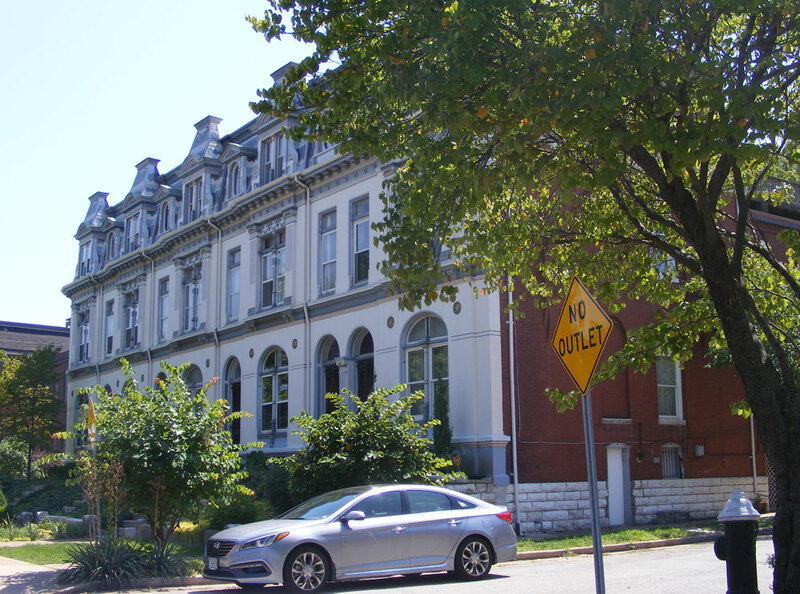 While not unusual in Lafayette Square, Becky finds this particular example quite compelling for its combination of a bay window, brick, and stone accents. On this simple, but well-detailed residence with intricate dormer surrounds, the portico at the front door calls special attention to the center bay. Becky points out that although it is not physically symmetrical, it appears balanced because the tower element on the left is well integrated into the larger façade. 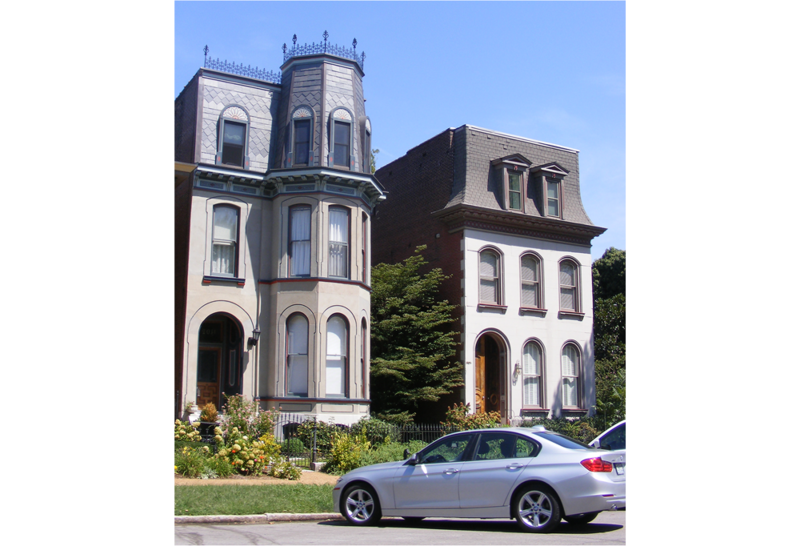 In contrast to the assymetrical appeal of the previous home, Becky loves the true symmetry created by the towers on this house, the last stop on her walk through Lafayette Square. In the Italianate style, it is atypical for the area, and Becky is particularly drawn to the way in which the towers emphasize the recessed entryway and center dormer. The deep cornice creates abundant shadows, while the rusticated base feels solid and relates well to the exterior stone material on the rest of the residence. Becky will take us next to a National Historic Landmark that spans 79 acres and serves as an oasis in the middle of the city. If you missed the first part of Becky’s tour, you can backtrack here.